Greater Gallatin United Way fights for the health, education and financial stability of every person in Gallatin, Madison, Meagher and Park Counties. Join us to make change. We are the community leader in collective impact-driven work. We believe that real long-term change is best generated by working collectively through a common agenda. As a centralized philanthropic organization, focusing on human services, we convene individuals and organizations to deliver effective and efficient solutions to address local community issues around Education, Health and Financial Stability. 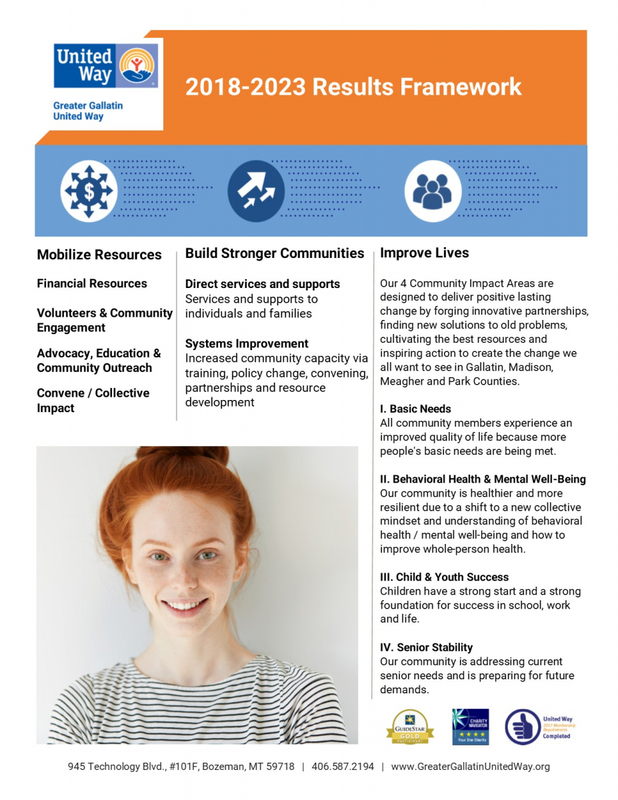 Click here for 2018-2023 Strategic Plan.